There is no doubt that project management software helps you be more productive. How do we know? Because you can track tasks completed, the time spent and then compare that to how you do over the long run. What’s even more amazing is that you can improve your productivity…for free! And what’s awesome is when you get the best productivity tools in one free package, especially if you’re looking for project management software. Nearly every team I’ve been on has used some type of project management software, and the other teams should’ve used project management software. And when it’s free, there’s no downside! Wait…your team hasn’t used project management software or tools before? Then this list will give you a great headstart on the many different options to try out. Let’s take a look at the top options and find the free project management software that will fit your team, your personality and your needs–no matter what task you need to accomplish! Note: For other ways to increase your productivity check out our guide on how to be more productive. What if you had one project management tool that the whole organization could use…for free? 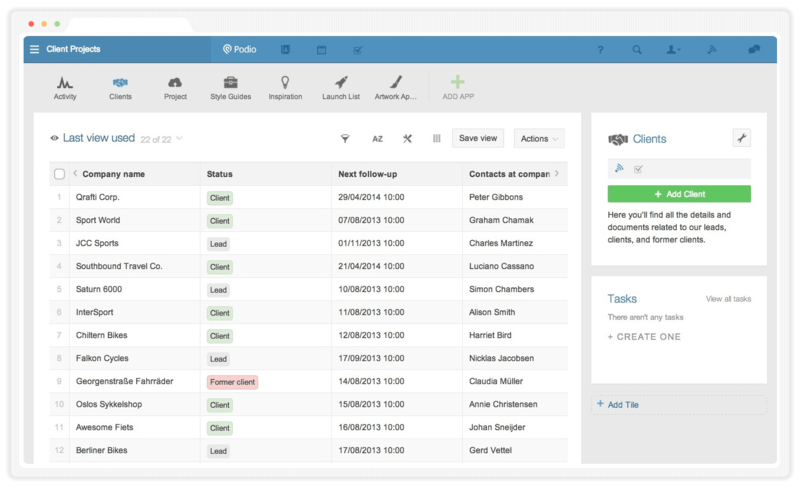 And what if the tool were one of the most highly rated project management software tools…for free? Most companies demand premium prices for what ClickUp delivers for free. Enjoy access for unlimited users, tasks, multiple projects, and all of the product features in the forever free plan. There are no limits to which task management options or features you can use! Custom Fields: Set up project management the way you want it. Add more columns for contact info, notes, budgets and more. So simple to use! Customized Views: Each team member or user can include how they want to work. It’s that simple. See a list, box, Gantt chart, board, or calendar and find a setting that matches you or your team and quickly find the task you’re working on. Priorities: Unsure which tasks are most imperative in order for your team to finish up the job? Set up custom priority levels and collaborate on various tasks based precisely upon how vital each task is to the project! Goals: Set goals for your whole team to use! Track tasks, set numerical progress or a simple yes/no for completion. Drag and Drop: This is one of the key features, especially if you have multiple teams using spaces and projects in ClickUp. 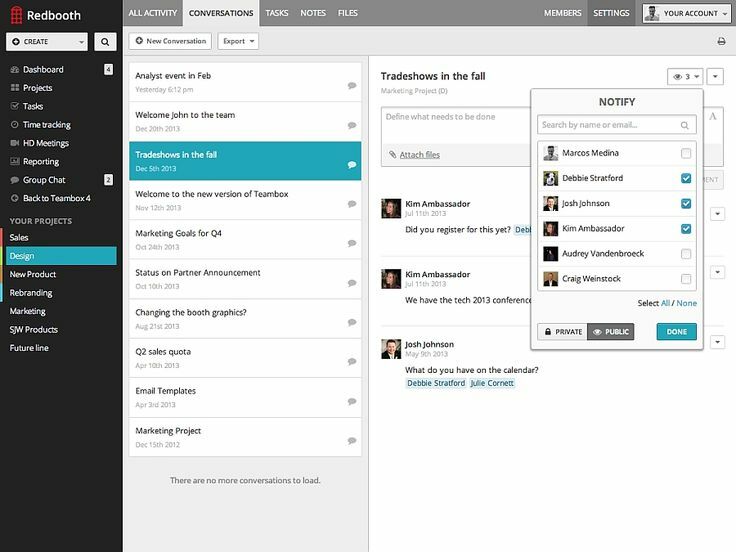 You can drag, drop, move, and re-assign tasks to people, clients or teams in just a few steps. There are no annoying menus. You move the tasks to where they need to go and in any view. Assign Comments: Have a great idea that your team is commenting on? Assign that comment right away as a subtask, and set up specific dates and times to follow up. Or convert it to a task. 50+ Unlimited Features: In this list, you’ll see lots of solutions that cap you with their functionality. ClickUp limits your amount of storage on the free plan, but never limits what you can actually do using the tool. That way as you grow, ClickUp grows with you. Activate the features you want, and leave the rest. ClickUp makes your life simpler, not more complicated. ClickUp is conscious of how work actually gets done, which sparked our motivation to obsessively create features to enhance productivity. And because ClickUp interacts with so many essential collaboration tools, your team will hum along as it’s always done–just faster and more efficiently on multiple projects. 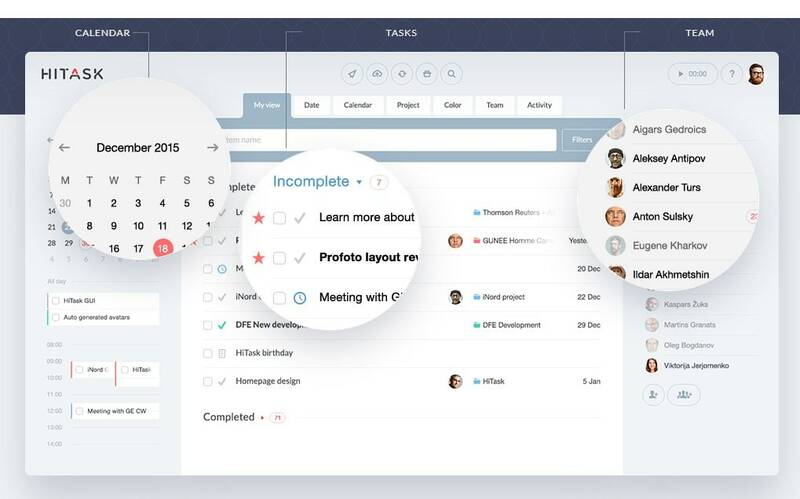 Everyone from individual users to project managers will enjoy using ClickUp. There’s a forever free plan available to your team, along with an upgrade to unlimited storage for just a few dollars more a month. Feel free to try out the free version with all the features, and upgrade to unlimited storage at any time! ClickUp is also a great option for agile project management and agile development–meaning all of your team members can use it! Ready to try ClickUp? Start here. 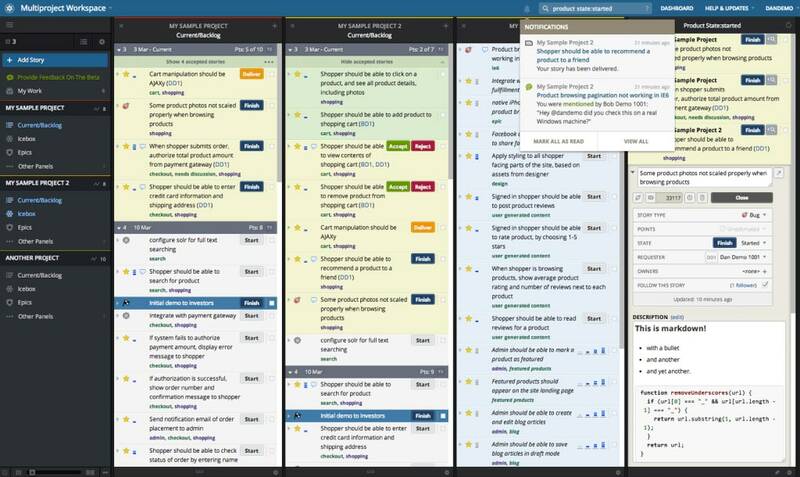 If you want to try out Kanban boards instead of Post-It notes, then take a look at MeisterTask. They try to make Kanban boards more practical. Your tasks, comments, notes, due dates, and more will be set up like Kanboard boards in one place. It’s a flexible project board and cloud-based project management that goes along with your workflow. Note: Import a CSV file of your tasks into ClickUp! Start here. 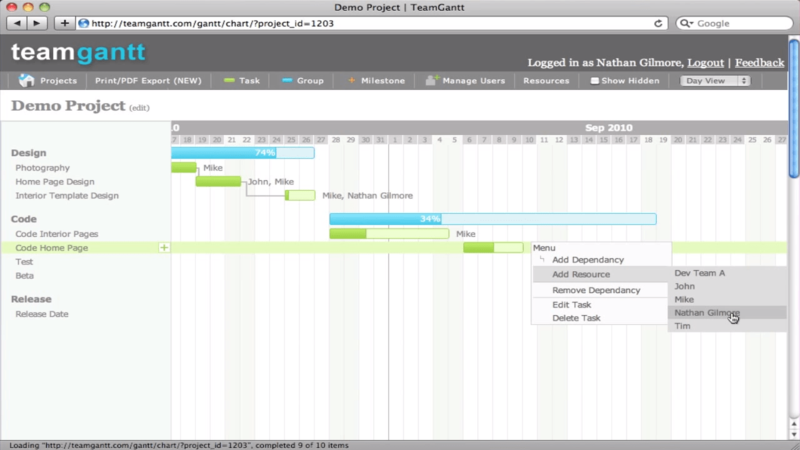 Okay, if you’re really into visualization and Gantt charts, then TeamWeek may be the option for you. You can see important deadlines and due dates in a calendar form right when you log in. That’s handy just for a quick view of what’s happening. Another selling point? You can use it as a resource management tool, as well. 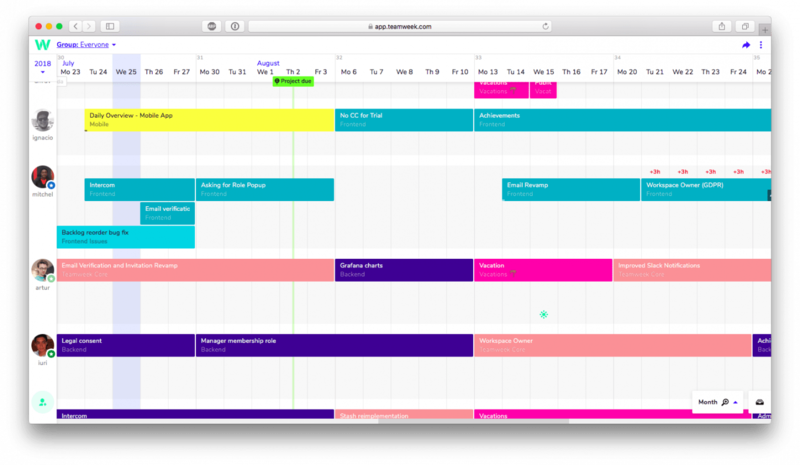 If you’re curious about who’s overloaded or what a certain team member’s schedule looks like, then TeamWeek will clue you in. 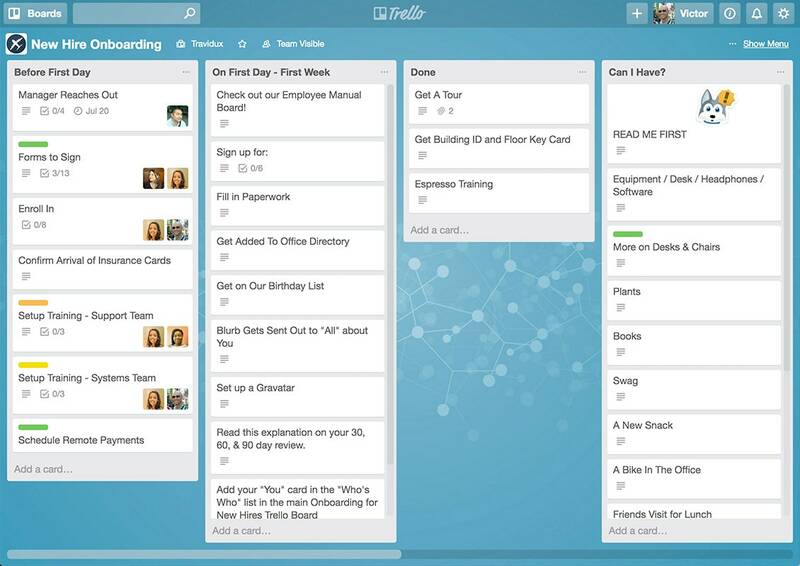 Trello has become a popular free project management solution in the last few years, bringing the Kanban board approach to the masses. The boards are projects, and the cards within the boards. Each task and set of tasks is then grouped on a board. You can then move the cards to different progress points, depending on the work that has been done and the tasks that still need to be done. Then add task details, create checklists, and upload files onto the card. However, for the free version, it has basic features as far as integrations are concerned. Unlimited number of boards, task lists, cards, users, checklists and attachments. Learn how to import from Trello into ClickUp. Wrike works well for small teams, and their folder system keeps everything organized. Their activity stream dashboard is helpful to see who is working on what tasks and projects. You can also store several projects within Wrike and quickly access them, but their file system can be overwhelming at times. They also have an issue tracking feature that would be helpful for development teams. Unfortunately, their free version is quite limited, as you lose out on their best features, and much more until you upgrade to their premium plan. That’s a major consideration when you have so many other options with truly great task features and functionality. Before starting with Wrike, check out these top Wrike alternatives. Note: See the top Wrike alternatives! Be a master of none or a niche player? That’s an age-old question! Bitrix is an intuitive tool that’s an all-in-one project management solution that tries to solve multiple business needs at once. That’s great for some businesses, especially small businesses, but it kind of depends on both your personality and your team’s habits. Features in Bitrix include a high-level dashboard view, social intranet that includes chat, video, document storage, calendars, task management, mail, and more. The hard part is that you’re probably using several of those tools already, and integrating may be better than going all out for a one-stop shop solution (that’s confusing!). 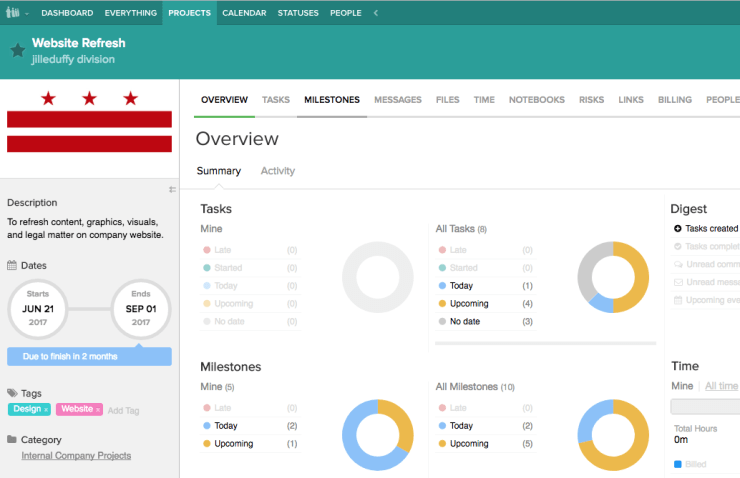 But for project management, you get tasks, Gantt charts, and task dependencies for free. The only cap is with the number of users and storage–so only part of your team can use it and you can’t store many documents. Teamwork Projects is a very well-known project management solution, but is geared more for the enteprise audience with single sign-on, HIPAA compliance and premium support. Their paid plans has lots of feature options for teams, and offers a suite of tools such as billing and invoicing. However, their free tier is quite limited, only offering very basic feature functionality. 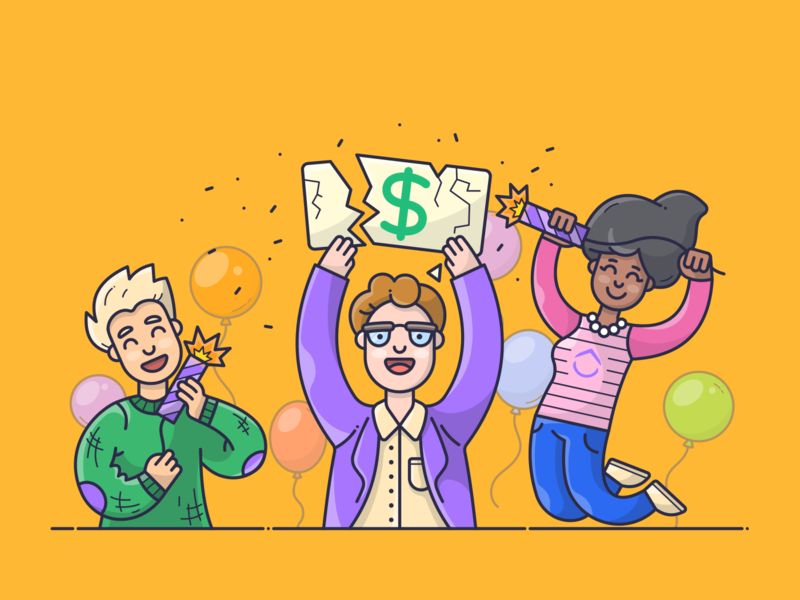 Many clients and teams will pony up for those advanced features, but it’s a risk if you don’t want to be locked into a long-term pricing plan. In the Pro plan, for instance, you get lots of integrations–such as to Dropbox and Slack–and way more storage and up to 50 users. You won’t get that on the free plan, which seems to be a starter option to try it out before jumping to a larger tier. 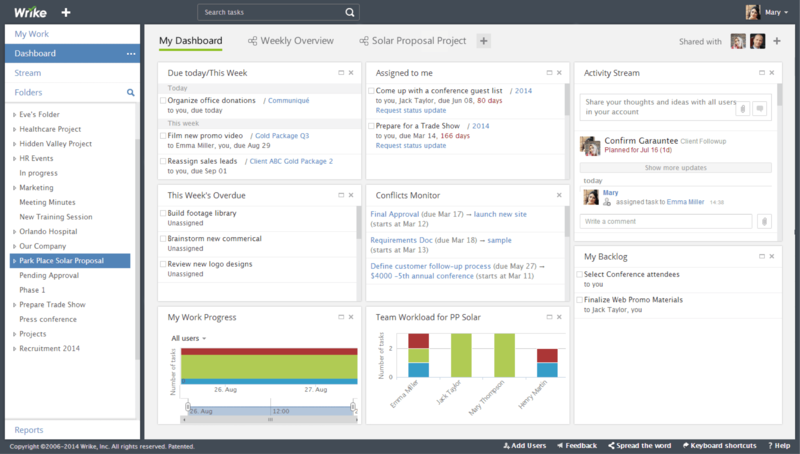 Asana is a very well-known project management software tool that’s used by a lot of teams. They got a huge boost as a company because their CEO was one of the early founders of Facebook. 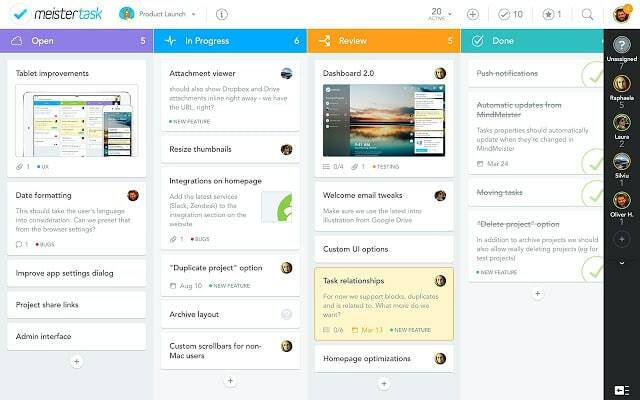 Users generally like Asana because it’s a visually appealing tool that utilizes projects and sections to keep work organized and gives team clarity over precisely who is in charge of what in your project planning. 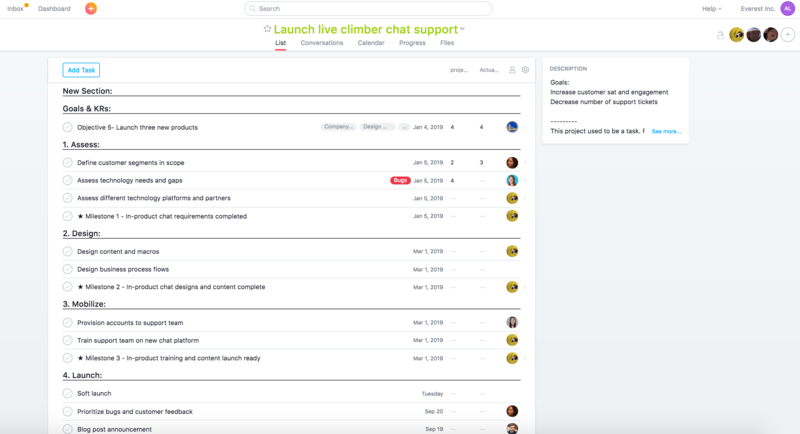 Asana is simple to use compared with most other project management software solutions. It’s easy to move your task and assign work. Their drag-and-drop features are helpful and intuitive. One problem with Asana has been its reliability with its rapid growth. Before committing to Asana for the long-term, check out these Asana alternatives. For more about what you get (and don’t get!) in Asana, check out this comparison. Note: Compare Asana and ClickUp! In Todoist, it’s easy to quickly capture thoughts and ideas on your phone and then get reminded about them later. You can also plug in deadlines, like pay bills in 3 days, and the app will automatically remind you. You’ll get a view of the week ahead and you can plan your to-do list and task list accordingly. In the premium plan, you can create your own tags, setting your own themes/views, and storing templates. Other task management apps don’t have all that. 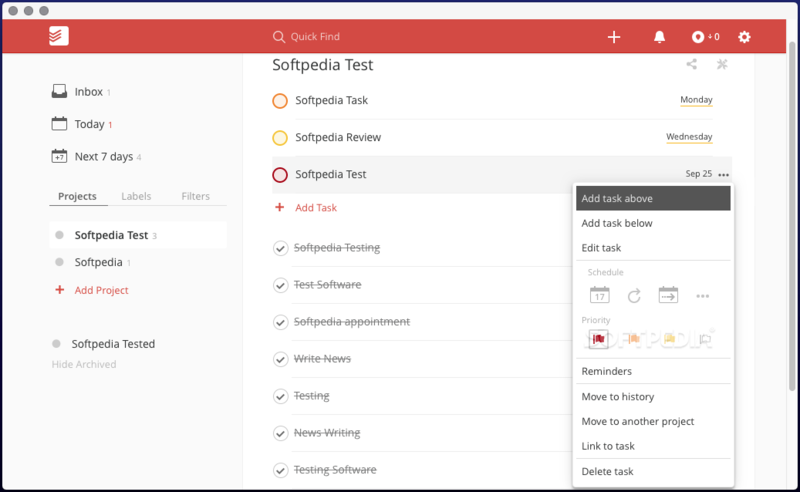 Todoist was built as a personal task management app, and not as project management software for businesses and collaborations. To easily manage all users and their tasks, you’ll have to opt for the paid plan or a different tier version. You don’t get any real-time collaboration features in the basic free version. Note: Compare Todoist with ClickUp! Airtable is a beautifully designed table meets database. It takes what you love about Excel and Google Sheets and puts a modern web-based project on it. 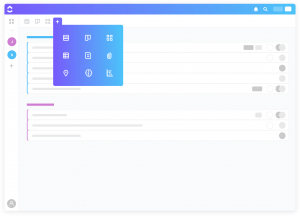 Think of Airtable as a fancy spreadsheet that helps you track inventory, lists of reference items or as a bootstrap CRM. If you’re used to the “workbook” concept in Excel, then in Airtable it’s called a “base.” Airtable bases can be saved as templates, empowering others to use it for their work as well. Essentially, Airtable is a super-friendly, non-intimidating database for the 21st century, disrupting traditional database management systems that rely on SQL or other complex languages. The cells and design look like a spreadsheet, but you can also link records across tables, and reference files or attachments quickly and easily as well. 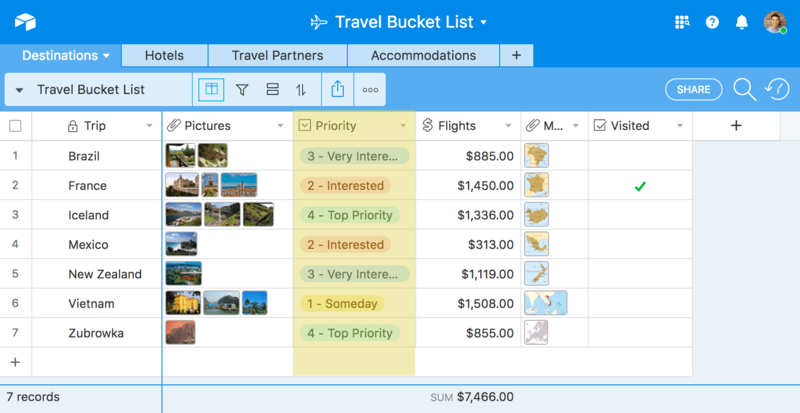 If you’ve used Excel as project management in the past, then you may want to look at Airtable as well, though we don’t usually recommend spreadsheets for project management. 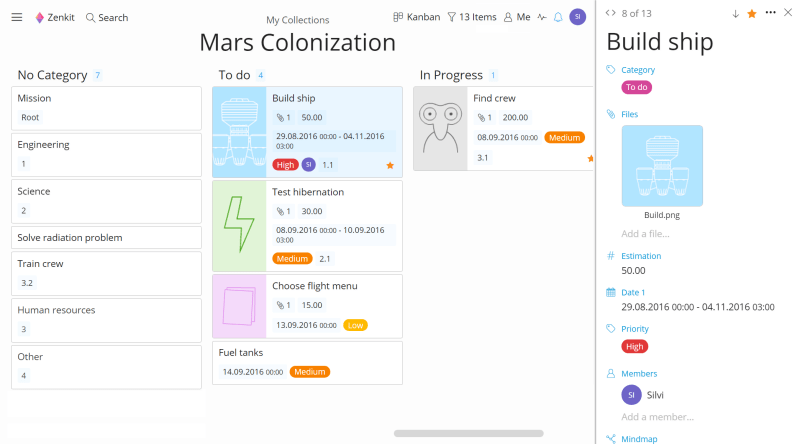 Compare Airtable and ClickUp for project management. If you’re looking for a high-quality, free project management software with a sole focus only on Gantt charts, then TeamGantt is your best option. This software product is amazing at building out and visualizing Gantt charts to see what tasks may overlap and who is responsible for what. It’s also a great tool for measuring team and individual progress against the project milestones. Freedcamp gives you multiple views including a list, kanban boards and Gantt chart. It also has a wall for social communication and private tasks. It also includes white labeling for client spaces, invoicing and CRM capabilities. It moves beyond project management software into an all-in-one solution, which can be frustrating at times if you depend on one tool for every single business function. The free plan is limited and then pricing plans begins at $5.99 per year. Redbooth helps teams team streamline their work and stay focused on the most important tasks. It features a simple, user-friendly interface that helps teams feel comfortable right away. Managers feel empowered to change workloads and resources very easily. Note: Compare ClickUp with Redbooth! Pivotal Tracker has become a favorite among agile teams. 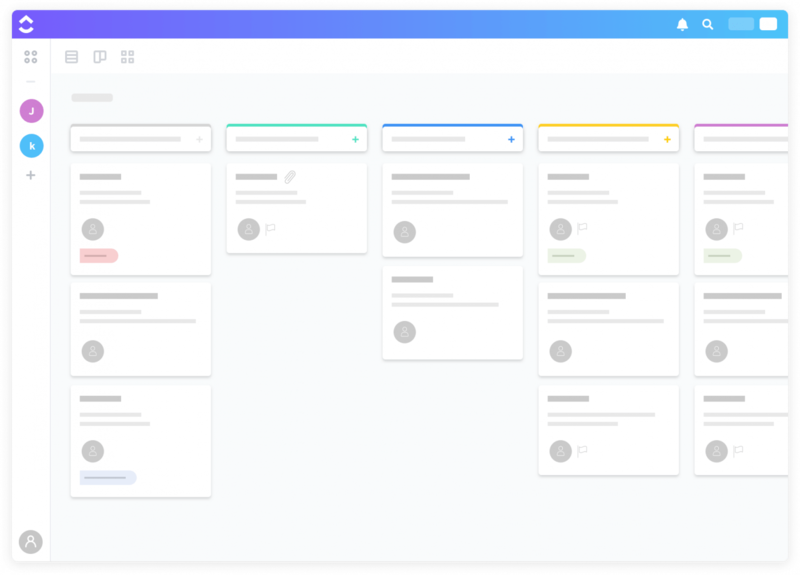 Their simple kanban board style and clean storyboarding lead to a very organized feel. They also have automatic planning which means you can focus less on planning who needs to do what and actually doing it. Detailed analytics make sure your reporting is granular and accurate. The professional plans of Pivotal Tracker start at $12.50 a month and that is for 5 users if purchased annually. Paymo is a great option for single users. People who have simpler project management teams love Paymo since it offers Kanban Boards and Time Tracking that allows for freelancers to easily keep track of time tracked for each of their clients. The biggest downside of Paymo is that the free plan is limited to a single user. The biggest issue is when teams grow you either need to start paying or migrate over to an entirely new platform. 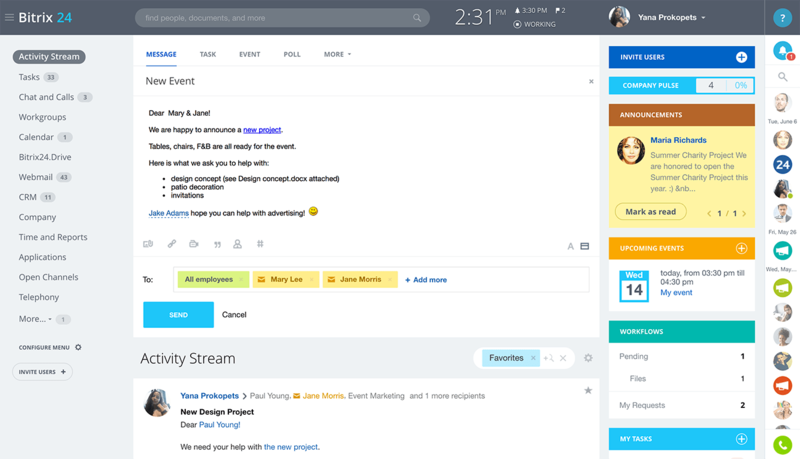 Podio is almost like a project management and chat software hybrid. They offer conversations in the app and the ability to view all your tasks at an overview or drill all the way down to a specific task. They offer many integrations with many popular software like ZenDesk, Evernote, and Google Drive. If your team isn’t large, and you don’t want to pay for project management, take a look at HiTask. They are free for up to 5 users and HiTask gives you unlimited tasks and projects. You’ll also get a half a gigabyte of space. A downside? HiTask’s free plan doesn’t allow any sharing so you’ll need to get creative if you are working with clients. 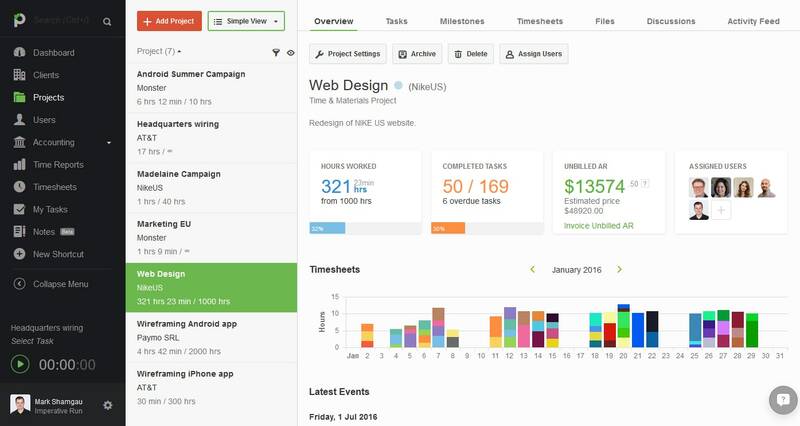 Another option for free project management software is Zenkit. With Zenkit, you’ll get a decent spread of features and templates to make setting up your workspace easier. While they do make it easy to establish, the 5000 item limit can be a barrier to entry for teams that are busy or who move from another software. Next up is Targetprocess. They aren’t as big as some of the other names on the list but they have a big following amongst companies utilizing an agile methodology. Targetprocess has a generous free plan and is favorited by those who want to get a visual view of the process that Projects move through. Targetprocess is great if you are someone who likes Kanban boards and Project Roadmaps. You want the best. And you want it for free. And don’t forget, you also want your free project management software to do the job. Your whole team should be able to get onboard and use its advantages without even considering overpaying for project management software. Because most of these project management solutions are cloud-based, it’s easy to share across your teams, no matter the time or place. Be careful and rank the features that you absolutely need in order to cultivate successful project management. The worst situation is when you enthusiastically embark on a new project – only to be stymied by its lack of features and functionality, baiting you into the paid plan of the solution. When comparing project management software, think carefully about those features before making a decision. If you want to make a switch, it’s good to back up your tasks into a CSV file and then you’re information is ready to import into your next project management tool. This post has been updated for 2019.